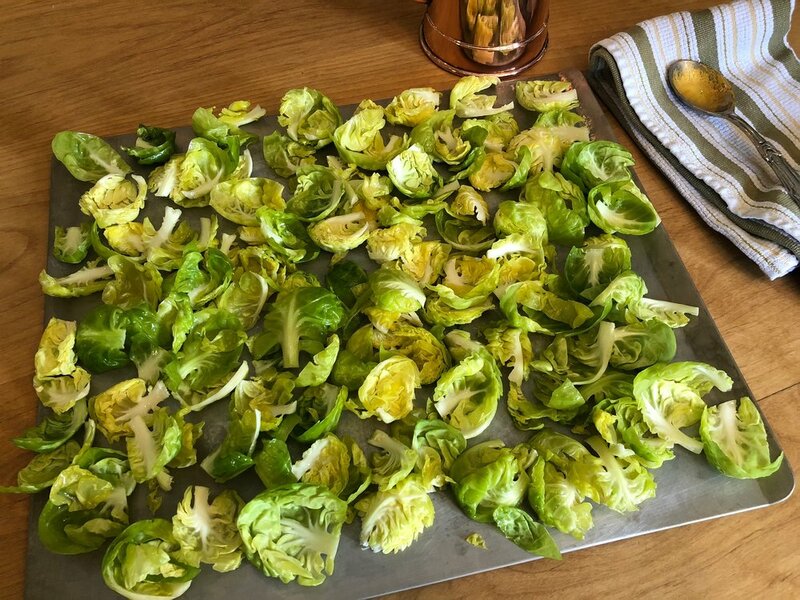 Trim the ends off the Brussels sprouts and slice them in half. Peel off the layers of leaves and place in a medium size bowl. Drizzle 1 Tbsp. olive oil on top and toss to combine. 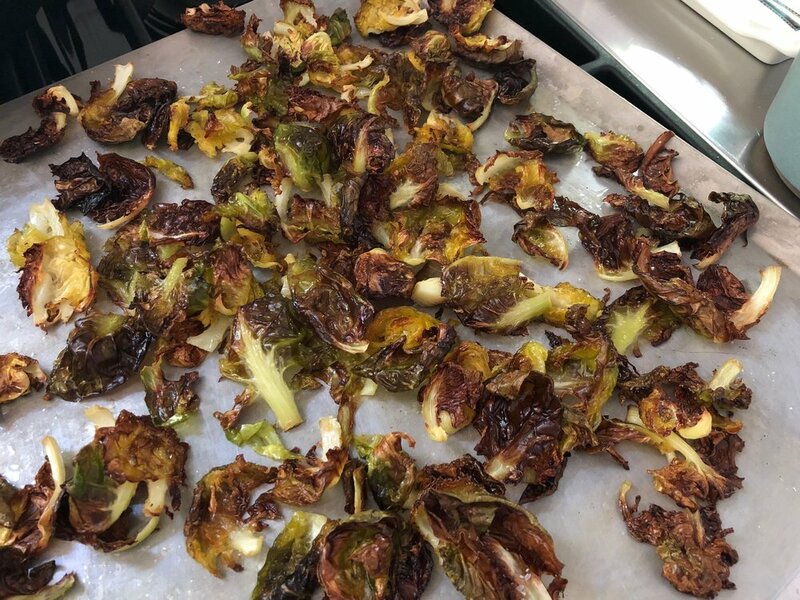 Spread the leaves on a large sheet tray and roast for 10-12 minutes until golden brown and crispy. Remove from the oven and sprinkle with a pinch of salt. Set aside. Heat the remaining tablespoon of olive oil over medium-high heat in a large cast iron skillet. Add the minced garlic and ginger and cook until fragrant, about 1 minute. Add in the turkey, sprinkle with a pinch of salt, and cook, stirring occasionally, until turkey is no longer pink, about 5 minutes. Add in the chicken stock, coconut aminos, sriracha and rice wine vinegar and stir well to combine, while also scraping up any brown bits from the pan. Stir in the cabbage and cook until cabbage is just wilted, another 3-5 minutes. Remove pan from heat and stir in scallions. Serve turkey over rice of choice and garnish bowl with Brussels sprout chips and a hearty squeeze of fresh lime juice.